The latest PSP collaboration with Dryad Pens of Australia. 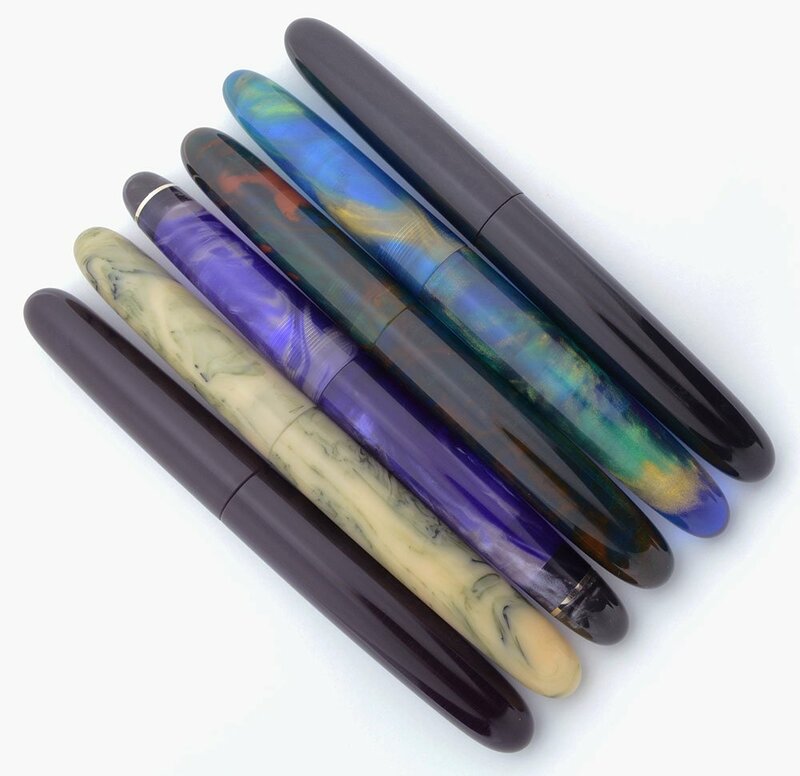 Pen blanks are one of a kind and created in California by the PSP team. Pens are turned in Australia. Cartridge or Converter filler with German screw-in nib units made by JoWo. Product Name PSP Dryad Cigar. 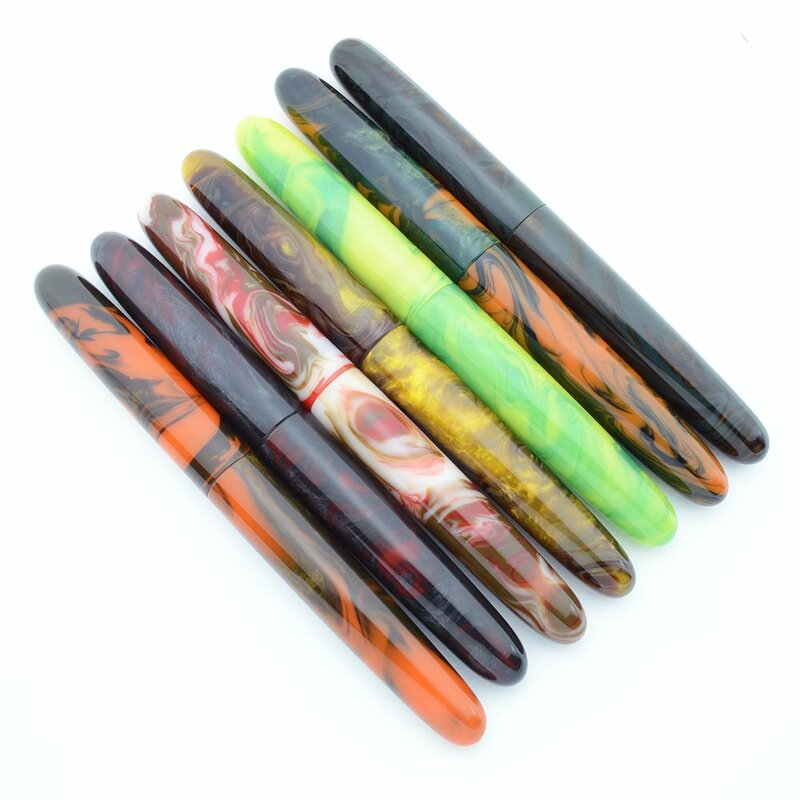 It was made by Dryad Pens of Australia using alumilite (polyurethane) pen blanks created by Peyton Street Pens. Only 6 pens were made for the first series. The second series is made of 7 pens. Length About 5-1/2" capped and over 7" posted. They do not post deeply. They are hand made and the lengths can vary a bit. Filling System Takes international-style cartridges and converters. The pen will ship with a new converter installed. It also works as an eyedropper. These types of pens are sometimes called 3-in-1's because they are cartridge/converter/eyedropper compatible. Color We have these in a few different unique colors. Refer to the photos below to determine what we are calling each color, then select the color from the pulldown menu. Condition Brand new, never used. Ships with a new converter. This pen does not feature a clip, but it well suited for our of our PSP installed roll stops. "Particolored" is a translucent combination of blue, green, and orange alumilite. There is some iridescence in the blue and the green. "Purple Swirl" is a transparent purple and lilac alumilite with black end pieces and bands. The lilac and purple mix like cream when it hits coffee. The pen has strong iridescence. "Bright Blue" is a transparent blue alumilite with yellow and green tones. It is like a somewhat cloudy sky with strong iridescence. "Cream w Green Lines" is a solid cream alumilite mixed with dark seaweed green colors. It looks a bit like freshly stirred miso soup in the bowl. This pen was my first purchase from Dryad pens, I am delighted to see them on PSP (although I purchased through a different site, before offered here). These are amazing pens, the quality you see for double the price at pen shows in the US. I have purchase 4 Dryad pens, PSP also carries the pocket version I own, and they are some of my favorite hand turned pens. They are uniquely made with quality in mind. The are the first pens people gravitate towards in my collection. 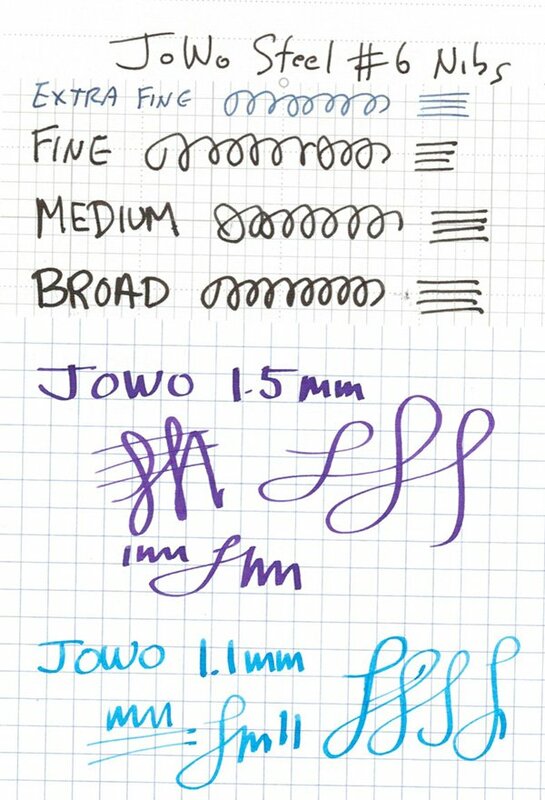 Best of all, they are fitted with a JOWO #6 nib. You can change your nib to meet you writing style. The pens listed here are true one of a kind beauties.